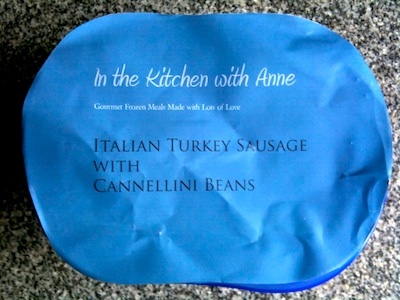 "In a fire roasted tomato sauce with romano cheese." 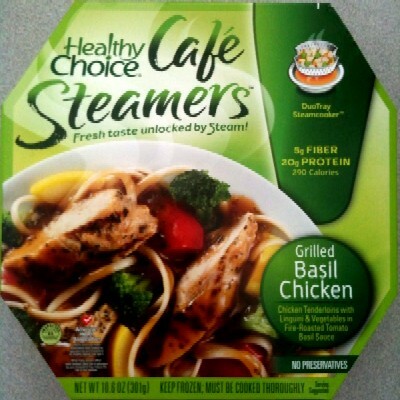 "Chicken breast & creamy herb sauce, roasted potatoes & vegetables." 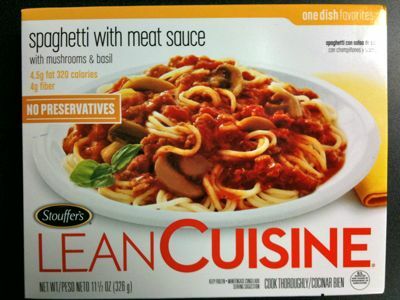 "With mushrooms & basil". No fancy description here. 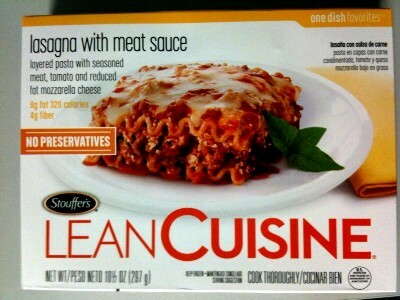 "Rich, five layer lasagna with ricotta cheese, zucchini & spinach." 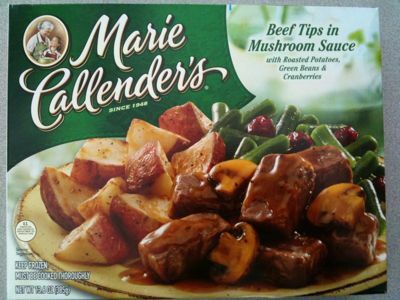 "With Roasted Potatoes, Green Beans & Cranberries." This is one of those nights where people might actually want to watch C-SPAN. 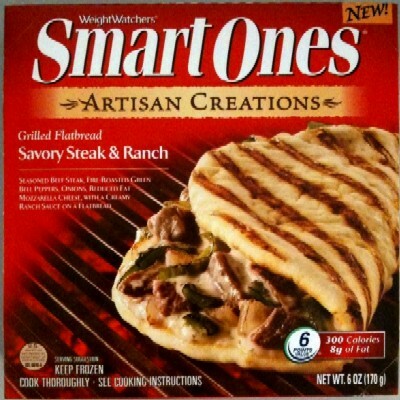 The full name is actually "Weight Watchers® Smart Ones® Artisan Creations Grilled Flatbread Savory Steak & Ranch." These things have too many dang names. "Seasoned Beef Steak, Fire-Roasted Green Bell Peppers, Onions, Reduced Fat Mozzarella Cheese, with a Creamy Ranch Sauce on a Flatbread." 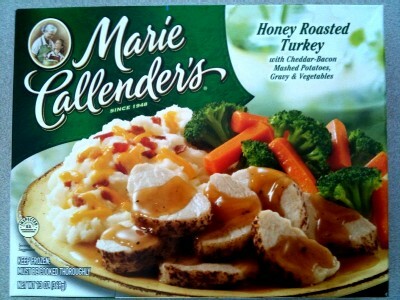 "With Cheddar-Bacon Mashed Potatoes, Gravy & Vegetables." 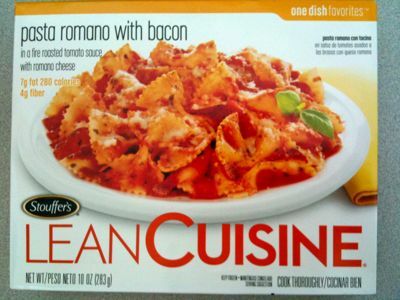 "Layered pasta with seasoned meat, tomato and reduced fat mozzarella cheese." 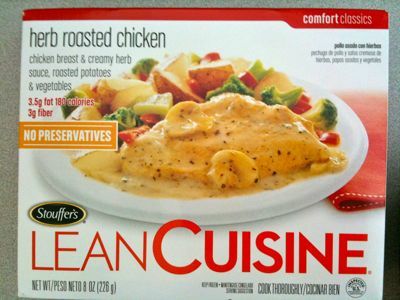 "Chicken Tenderloins with Linguini & Vegetables in Fire-Roasted Tomato Basil Sauce." 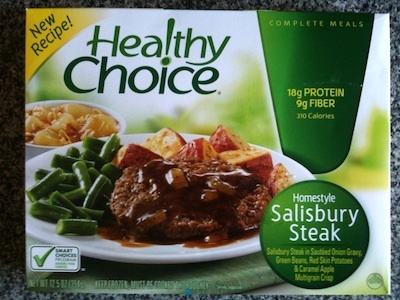 "Salisbury Steak in Sautéed Onion Gravy, Green Beans, Red Skin Potatoes & Caramel Apple Multigrain Crisp". 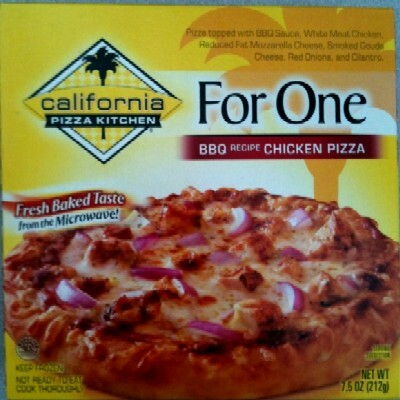 "Pepperoni, mozzarella cheese & marinara sauce on a thin crust." 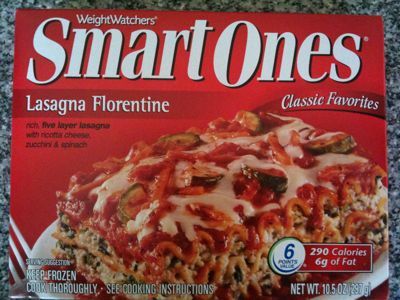 It's pizza-like, but interestingly, the box doesn't have the word "pizza" anywhere on it. 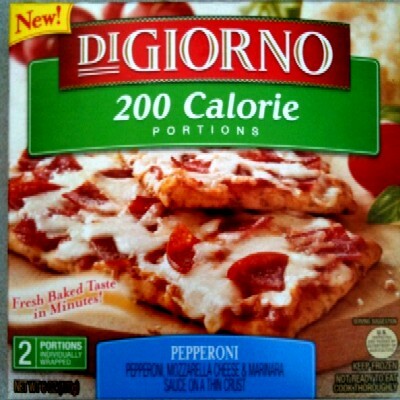 200 calories per portion, but there are two portions in the box. Sneaky. Geez, I'm falling behind. 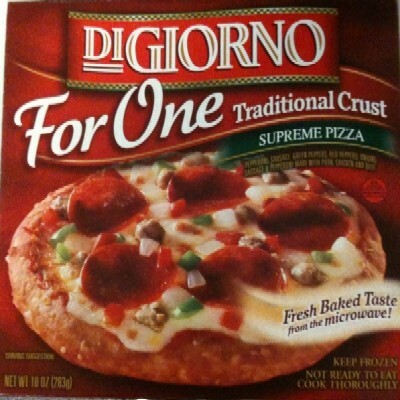 "Pepperoni, sausage, green peppers, red peppers, onions; sausage & pepperoni made with pork, chicken, and beef." 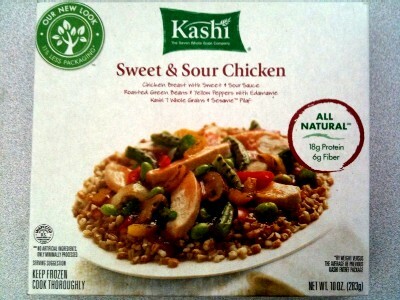 "Chicken Breast with Sweet & Sour Sauce; Roasted Green Beans & Yellow Peppers with Edamame; Kashi 7 Whole Grains & Sesame Pilaf."